How Will the DoJ’s New Stance on Wire Act Impact Internet Poker in 2012? 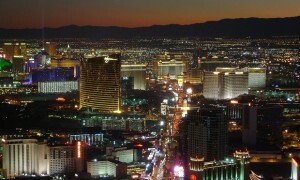 Adelson Opposes Online Gaming: Just Inconsequential Sour Grapes? 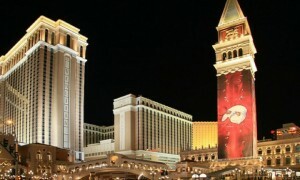 The Las Vegas Sun is reporting that Las Vegas Sands Chairman Sheldon Adelson is now “morally opposed” to online gaming. 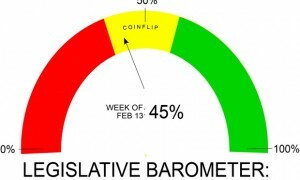 We’re rolling out a new feature for Wicked Chops Insider today: the Online Poker Legislative Barometer. 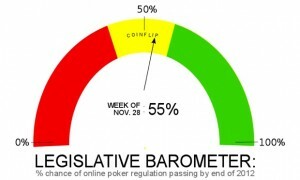 The concept is simple: we’re asking connected industry executives, lobbyists, and media members for their take on the likihood that the U.S. passes online poker legislation by the end of 2012.